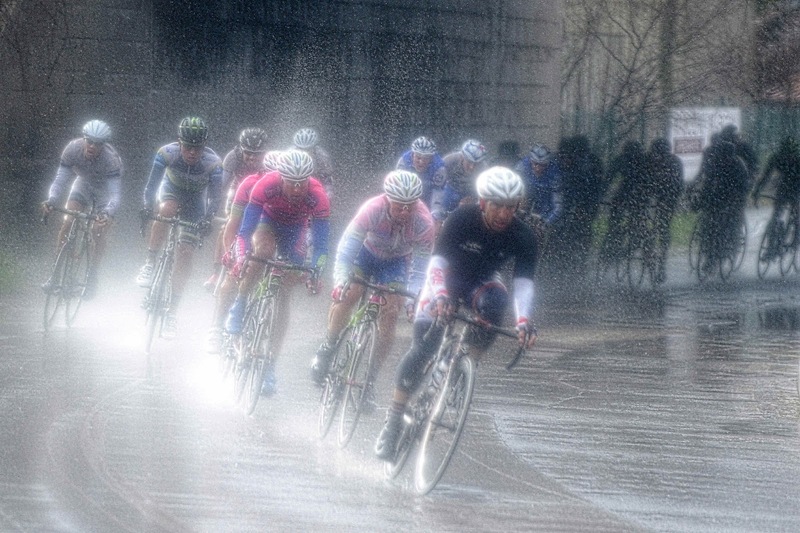 After almost six hours of riding in wet, miserable, weather a somewhat disorganized sprint into Indicatore was won Matthew Goss (Orica-GreenEdge). Next for the podium in same time, 5:48:41, as Goss were were Manuel Belletti (AG2R La Mondiale ) and Gerald Ciolek (MTN-Qhubeka). 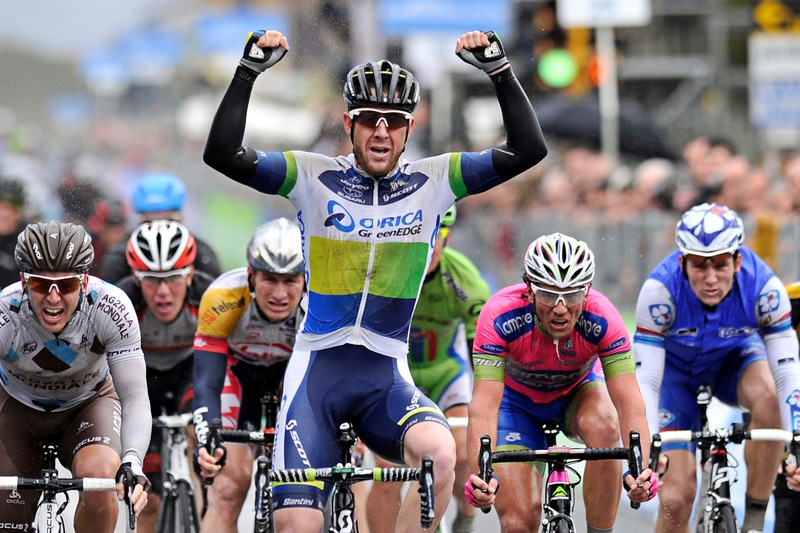 Arriving 5th, also in same time, was Mark Cavendish who retains the maglia azzurra. Cavendish was not pleased with how his day ended saying, "I'm quite disappointed today with my leadout. I know they're so much better than that. I had to do a lot work in last kilometre. I was 30 riders back and had to come round. I was coming and coming and still thought I as in with a chance with 500 metres to go. I was moving up but then the peloton moved to the right and I had to slam on my brakes with 200 to go. That was the end of the chance of winning. I feel we could have got more out of today. We've got to have words tonight I'll talk about my feelings. We'll see what happens." 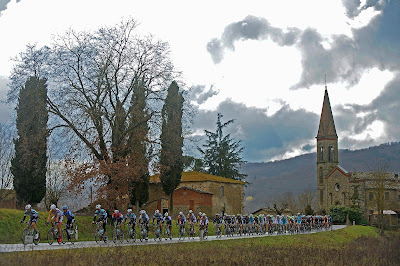 Tomorrow: Indicatore - Narni Scalo 190km. Possibly a good day for the sprinters but 3 km from the finish is a short section of 700 meters at 5% that could be a launching pad for Sagan, Moser, or Pozzato. 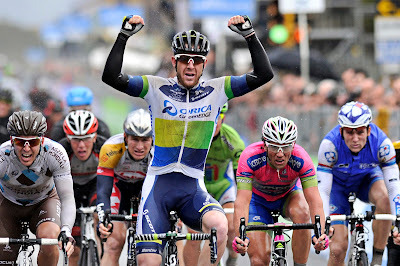 As a note: Goss and Cavendish are both recent Milan-Sanremo winners, Goss in 2011 and Cavendish in 2009. MSR is March 17th.